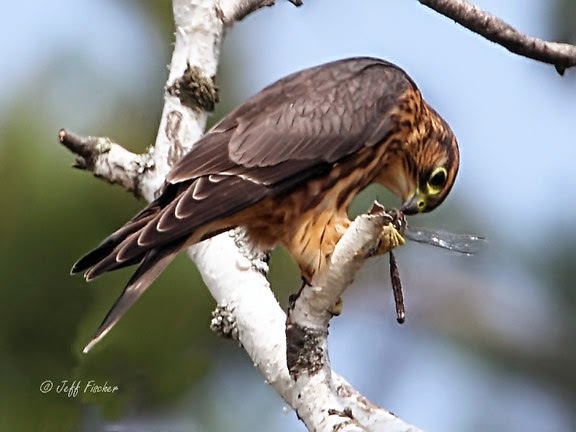 Most people think of an old guy with a beard and a staff when they hear the name Merlin, however merlin is also the name of a species of small falcons. merlins are a circumpolar species, which means that they are found in the Northern Hemisphere in North America, Europe and Asia. In North America they breed in Alaska, Canada and the northern potions of the United States. Most migrate south for the winter into the southern and western United States, Mexico, Central and northern South America. 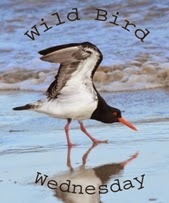 Birds in the Pacific Northwest and along the Pacific coast of Canada and Alaska often stay on the breeding territory all year long. As with most raptor the male merlin is smaller than his female counterpart. However unlike most raptors there is also a difference in color between the male and female. The males have more of a blue-gray tinge to the feathers on their wings and backs where the female are brown. The photo above is a male where the other two are females. The females coloration helps to camouflage her while she is on the nest. The male does not spend much time on the nest so he is brighter which probably helps him to attract a mate. 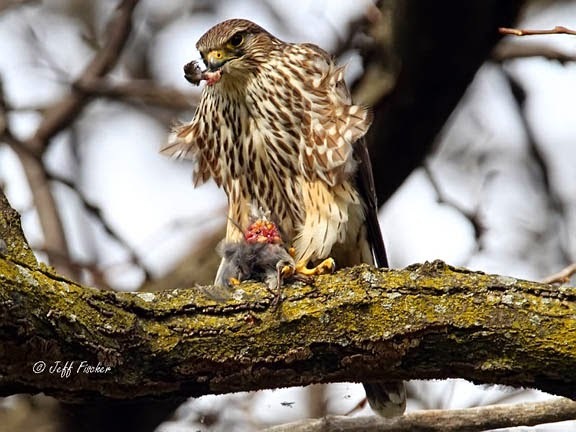 Merlins are primarily bird eaters. About 80% of the merlin's diet is comprised of small song birds. The birds in the top two photos have caught dark-eyed juncos. They typically catch their prey by running them down in a high speed chase, often coming from below the prey. The other 20% of their diet is made up of small rodents and large insects. The female above captured and was eating a large darner dragonfly. These are fantastic shots of the Merlin. I have seen merlin several times however never close enough to get shots like your beautiful ones. We don't see a lot of them here. Very good shots of amazing-looking birds! Looks like they are staying well-fed! 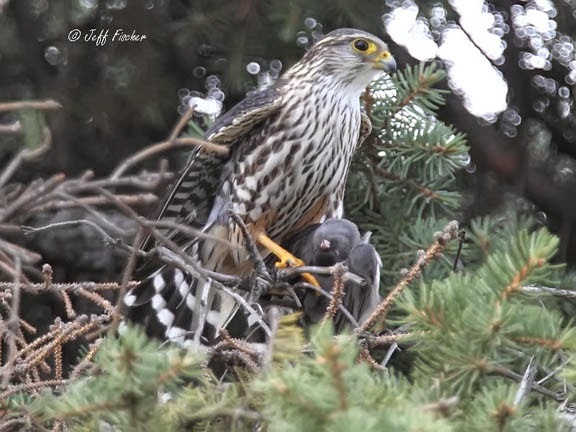 Excellent photo shots of the Merlin's and thank you so much for educating me on what I did not know of the Merlin's, they're such a beautiful predator species. Excellent photography, beautiful bird, but rather mean for eating other smaller birdies! Sadly, it's the law of the wild. I love birds we have a splendid 17 year old Cockateil called Chico, he's quite a character and very tame ! I think birds of prey like this Merlin are so fascinating. It was interesting to learn the color differences between the male/females. so does the bird do magic? Great pictures. I see these every so often where I live, and I always stop and look. Last month, one slowly glided over my boat when I was fishing with my Dad, and once I found one on a cold day, sunning itself in the morning on my balcony. I left him alone to soak up, but he was beautiful to look at. Fantastic shots and a beautiful bird. I always enjoy seeing them. Beautiful shares. I have yet to ever see a Merlin and hope to one day! Congratulations great shots, greeting from Belgium.